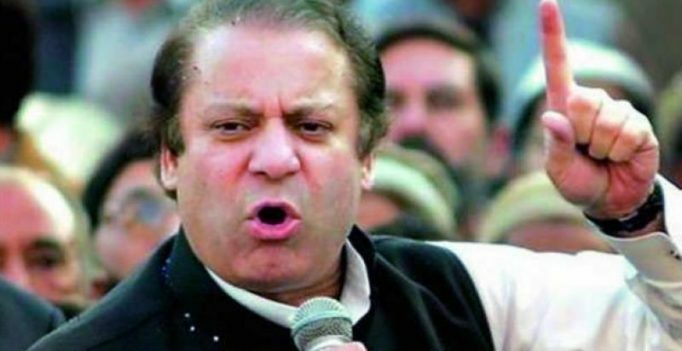 Islamabad: Opposition Pakistan Tehreek-i-Insaf (PTI) party on Monday filed a petition with the Supreme Court seeking disqualification of Prime Minister Nawaz Sharif from his office as well as the National Assembly for his alleged involvement in corruption. PTI’s counsel Naeem Bukhari filed the petition on behalf of party chairman Imran Khan. It has been filed against 10 respondents, which include Sharif, his daughter, sons and government institutions. Imran Khan later said that his party would continue to protest against the financial wrongdoings of Sharif. “It is time that the top court should decide whether a corrupt person can continue as prime minister or not. He (Sharif) lost moral authority after Panama Leaks,” he said. Khan said he had asked National Accountability Bureau and Federal Bureau of Revenue to proceed against Sharif as he was holding his assets abroad but so far no action has been taken. He said his party also knocked at the doors of Election Commission against Sharif to seek his disqualification for giving wrong information about his wealth. Khan vowed his party would take to streets after exhausting all legal options to force Sharif to resign. PTI spokesman Naeem ul Haq said that all evidence will be presented before the court against financial wrongdoings of Sharif. “We plea to the Supreme Court to review the evidence, documents and the contradictions, we have raised and provide justice to entire nation,” Haq said. PTI counsel Bukhari said they have submitted the petition with the apex court’s registrar office at first place and the registrar will take a decision whether it is maintainable. “I hope it will be accepted for regular hearing and we will forcefully plead our case,” he said.